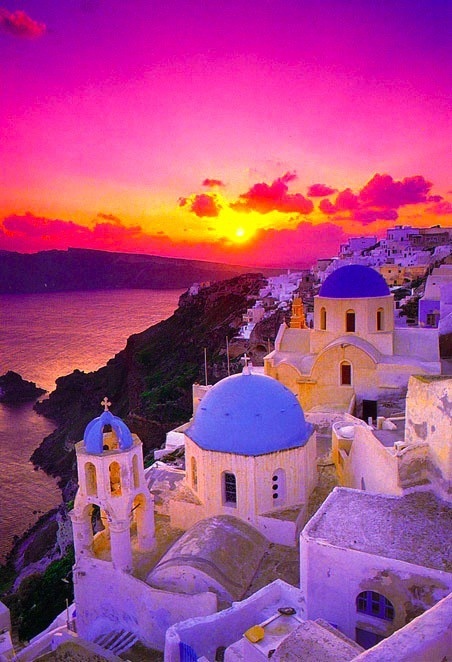 Santorini is a Greek wine region located on the archipelago of Santorini in the southern Cyclades islands of the Greece. Wine has been produced there since ancient times, and during the Middle Ages the wine of Santorini became famous worldwide under the influence of the Republic of Venice. The Italian influence is still present in modern Santorini winemaking: the most famous tuscan sweet wine is called Vin Santo. The Santorini's Vin Santo (labeled here and officially as "Vinsanto" to disclaim it form the homonym Tuscan wine) is made in a passito style from grapes dried in the sun after harvest. Santorini also produces blended and rosé wine made from white grapes such as Athiri, Aidini and Assyrtiko, and red grapes such as Mandelaria.